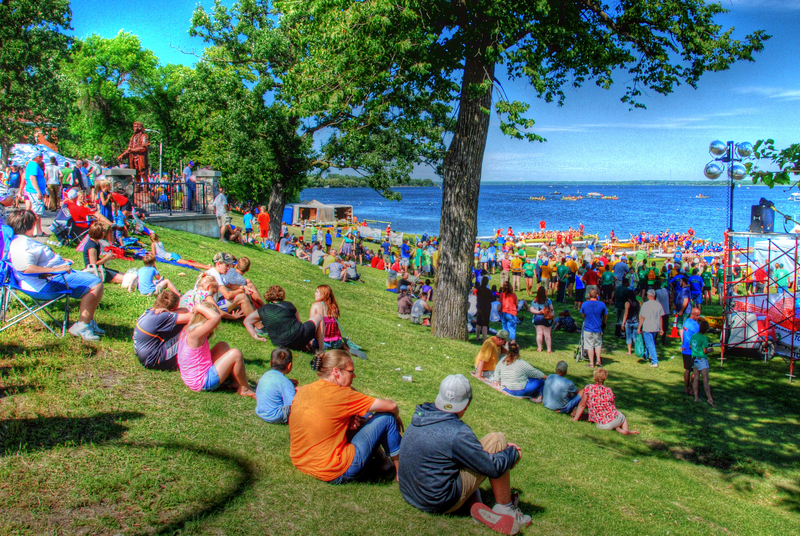 We were RVing in Bemidji, MN and were looking for some local events to attend. 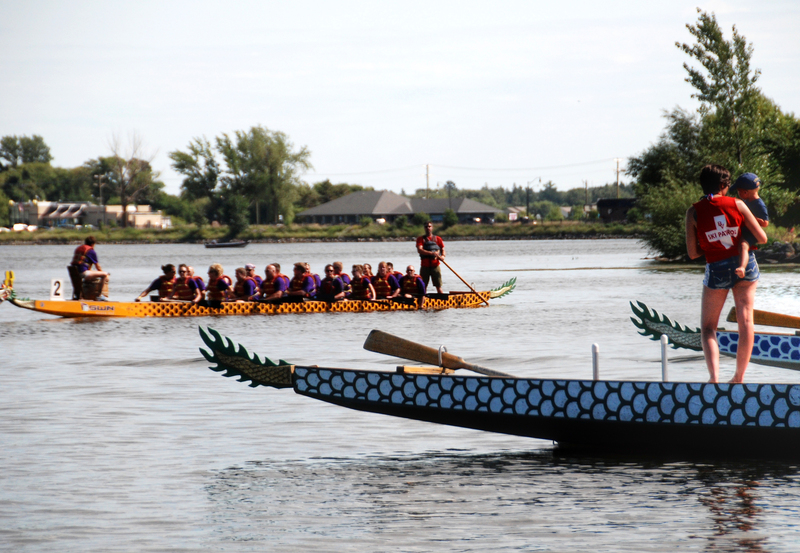 While we were there they had their annual Dragon Boat Race Festival. 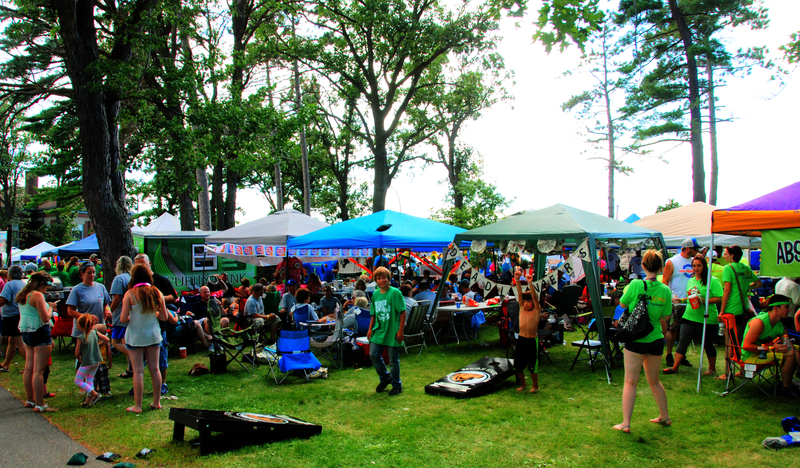 It’s a big event that they put on activities for the entire family for four days. 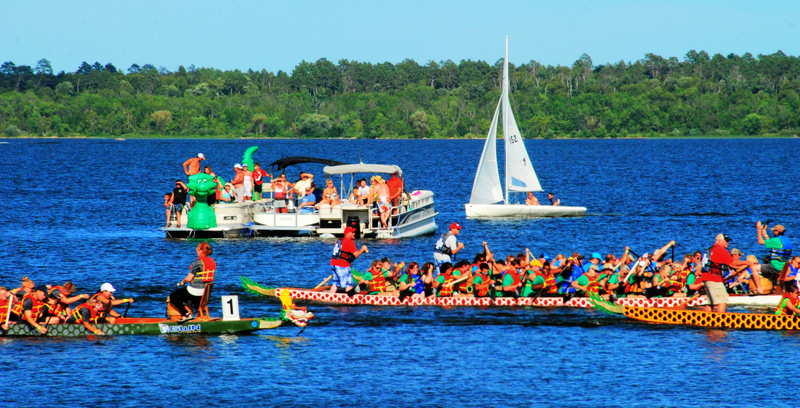 We headed over for the biggest day to enjoy a day at lake Bemidji and watch the races. 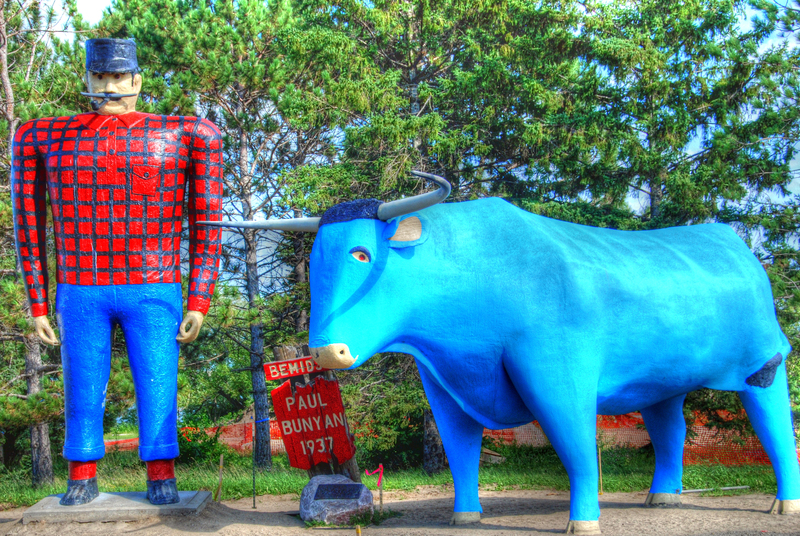 Lake Bemidji was created by Paul Bunyan’s foot as he walked around the logging area of Northern Minnesota. Since this use to be his home they have a HUGE statue that was built in 1937. 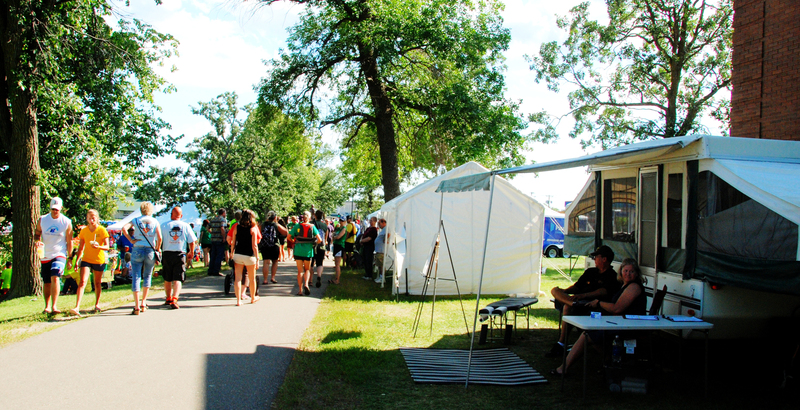 Vendors line the walkway with awesome fair food. 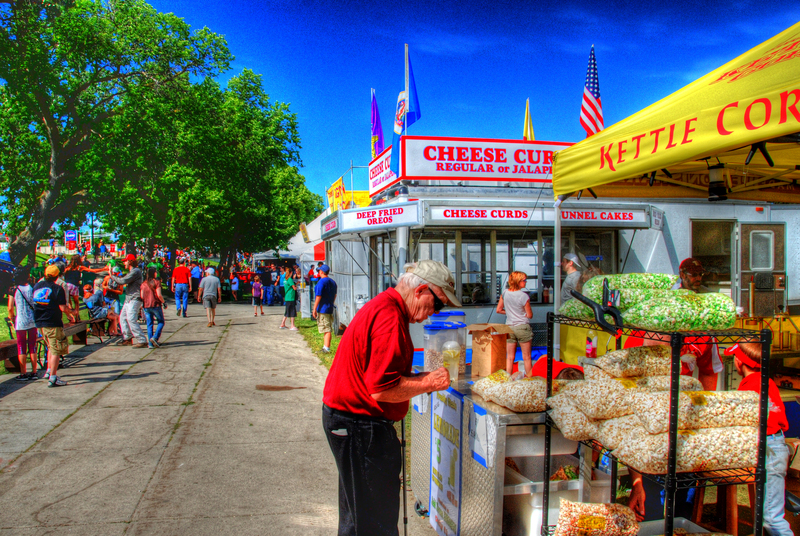 Don’t miss out on the Minnesota Cheese Curds. 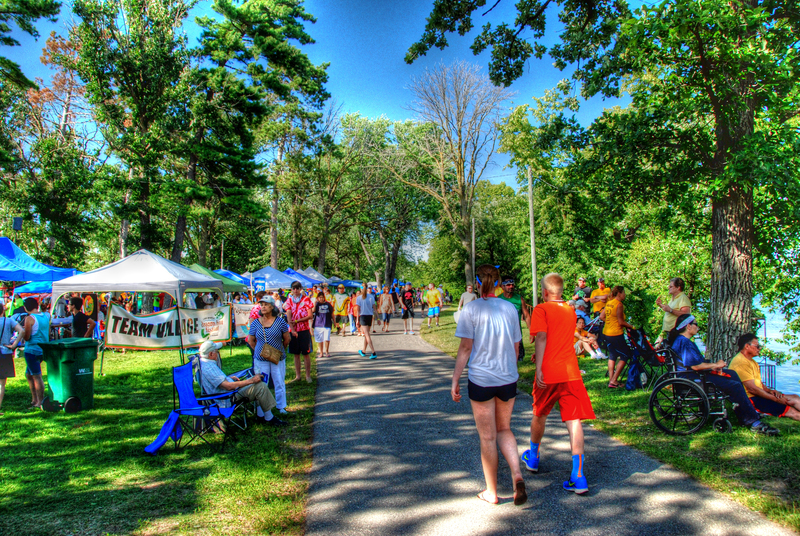 There’s a long walking path for you to walk along the water and enjoy the view or watch the races. We saw people who were camped out for the week enjoying people watching. We saw a lot of people just soaking in the day at this beautiful area. We did our share of relaxing on the hill too. 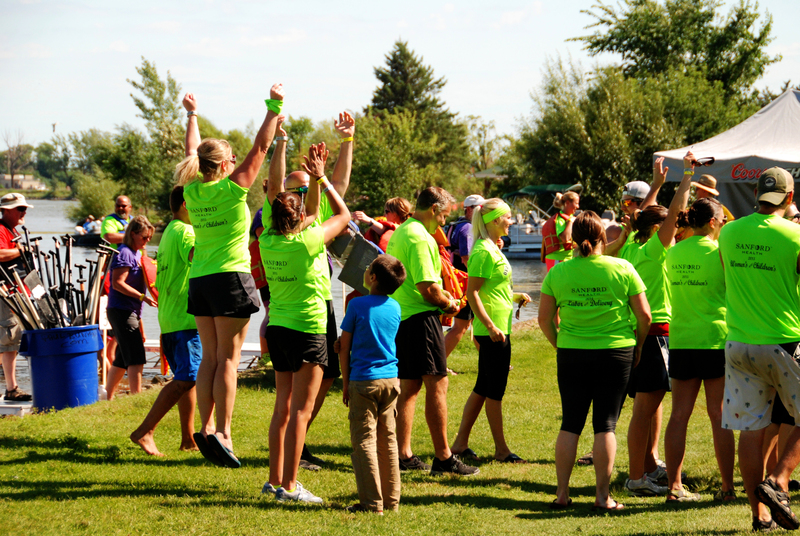 The Dragon Boat Races are simple, you want to be the fastest boat. 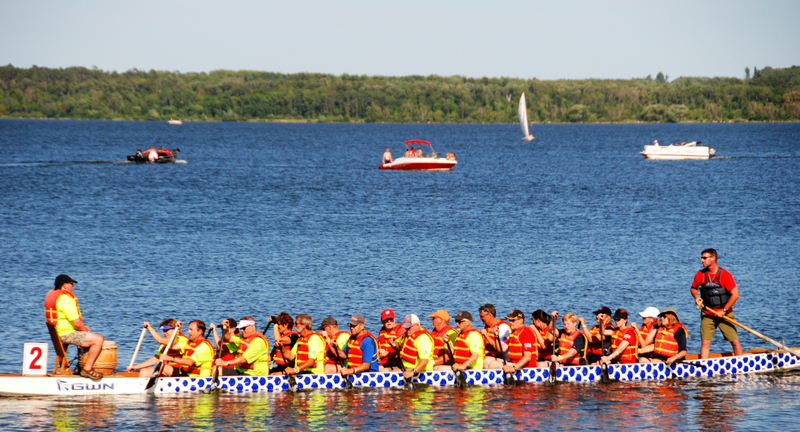 Teams are typically made up of 22 members with one person steering and usually a lightweight person in the front hitting the drum which signals everyone to paddle at the same time. 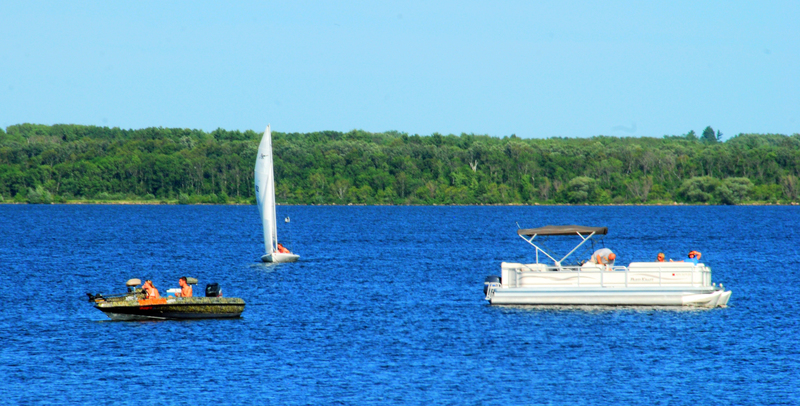 We saw all different types of watercraft on the lake on this day. 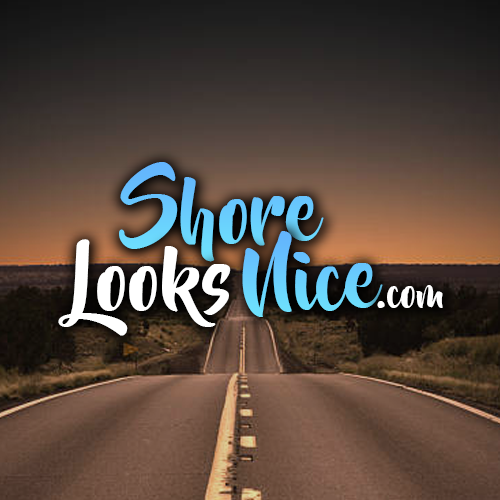 Whatever type of boat you prefer, this lake is absolutely gorgeous to hang out and cruise the lake! 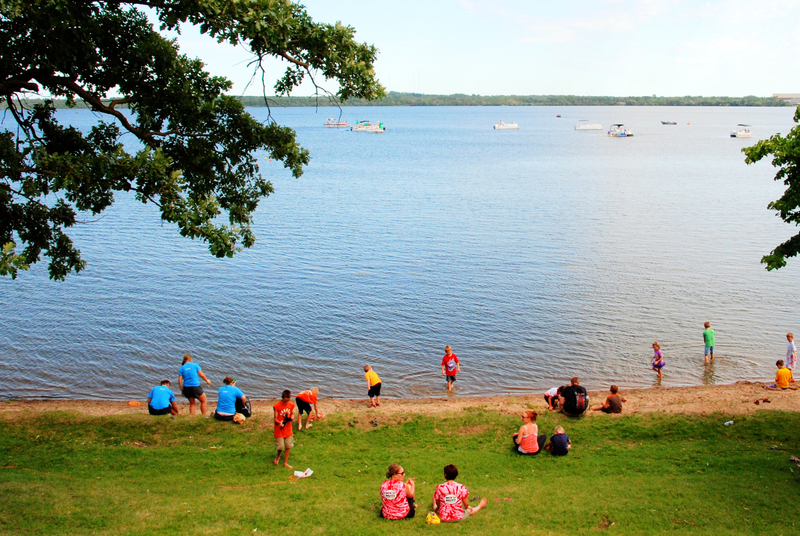 It makes sense that it’s a popular destination for boaters as its the northern most lake on the Mississippi River. Some of the races ended up being really close. 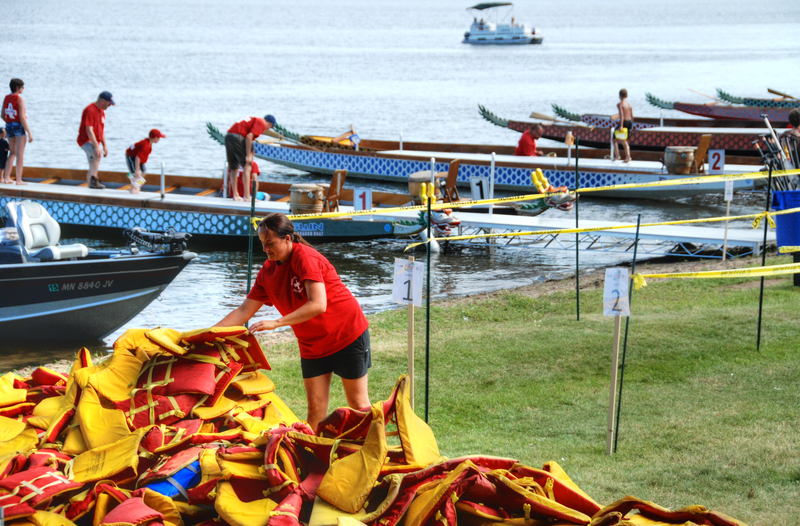 That’s a lot of life jackets. As we were walking along enjoying our day we were ran into my friend and roommate from college! How random!! We ended up going out to supper after and hanging out for a fun filled evening. What a great day.